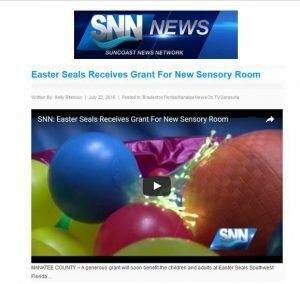 The Jerome and Mildred Paddock Foundation donated $5,000 for a new sensory room. The room will be used to help treat children and adults with autism spectrum disorder. The grant will go towards new equipment to help therapists’ better service children and adults with varying levels of the disorder. Vice President of Resource Development Jannon Pierce says having a new sensory room in the main facility will be an incredible resource.